Collaboration socks with Sports Club. Calf-high stretch knit cotton-blend socks in white. 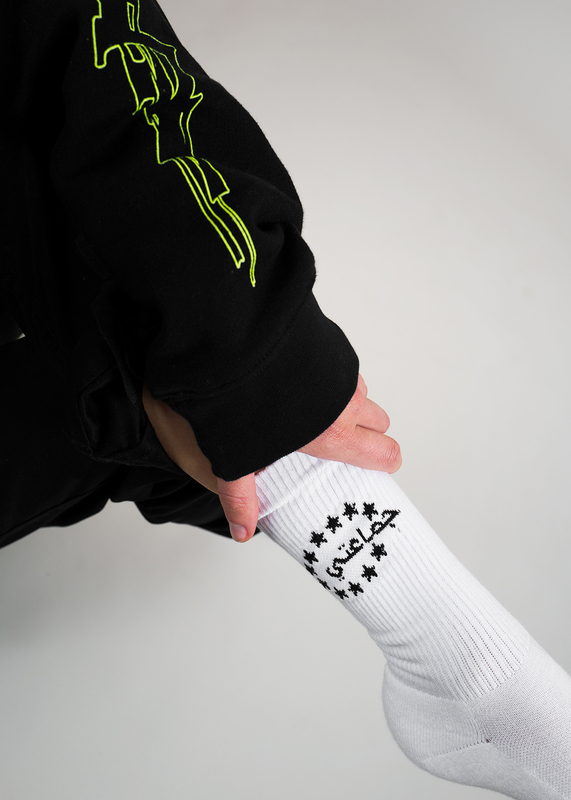 „Combo Logo“ knit in black at rib knit cuffs. „OVERDRIVE“ knit in black at sole. 80% Cotton, 18% Polyamid, 2% Elastane. Made in Portugal.